Erasmus+ is the EU Programme in the fields of education, training, youth and sport for the period 2014-2020. The programme was initiated primarily with the aim of tackling with some of the most important issues in a modern society: high levels of unemployment as a consequence of premature school leaving, the use of modern technologies in education, social inclusion, further democratisation of the society and an active participation of the young in its development, building bridges through education, modernisation and internationalisation. Hence, the Erasmus + Programme promotes co-operation, lifelong learning, adult learning the aim of which is to prepare adults for the labour market requirements, innovation, development of the European dimension in sports, education and training. Through the transfer of knowledge, skills and competences it is possible to create a diverse but strong European society with empowered individuals who can further contribute to their organisations and societies by putting emphasis on knowledge and quality which can consequently uphold equality and overall prosperity. 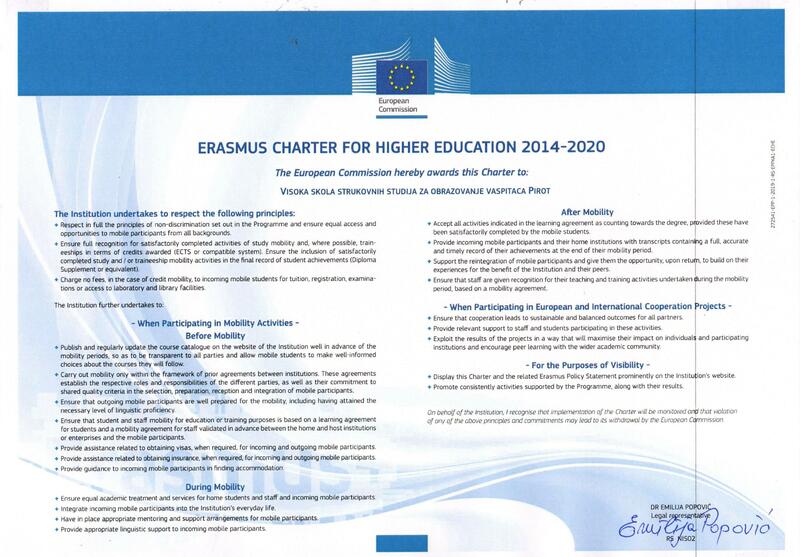 The Erasmus + Programme has created a path towards the aforementioned objectives. This path leads through various key actions which encompass mobility projects for learners and staff in higher education and vocational education and training, mobility projects for staff in school education and adult education, Erasmus Mundus Joint Master Degrees, Erasmus + Master Loans, Strategic Partnerships, Knowledge Alliances, Sector Skills Alliances, Capacity Building in Higher Education.